If you have a cut and think you need stitches, the thought of having to go the emergency room may make you think twice about getting the care you need. Dr. Jordan Le Tran at Virginia Integrative Medical in Winchester, Virginia, performs minor surgery at the office so you don’t have to face a long wait in a hospital waiting room. Call today to schedule your appointment or use the online booking tool. Minor surgery refers to a procedure that only involves the skin or mucous membrane and connective tissue. It’s a type of procedure that can be done in the office without the need for emergency medical personnel or equipment and doesn’t require sedation. As a board-certified family medicine practitioner, Dr. Tran is trained to manage various health concerns, even those that require minor surgical skill. He can perform minor surgery on patients of all ages, from children to seniors. What can I expect when getting minor surgery? Surgery of any kind, even minor surgery, can provoke anxiety. Dr. Tran is a skilled practitioner who understands how patients feel during a procedure and does his best to make you feel comfortable and at ease before he begins. Dr. Tran may begin the surgical procedure with a local anesthetic to numb the region and ease any discomfort. He then cleans and disinfects the area undergoing surgery and places a sterile surgical drape over your skin so that only the surgical site is exposed. Then, under hygienic conditions, he conducts the surgery. When the surgery is complete, he again cleans and disinfects the area, then covers any wounds. To prevent infection after your procedure, Dr. Tran may prescribe an antibiotic. After your minor surgery, Dr. Tran provides instructions on how to care for the surgical site and schedules an appointment for you to come back to the office to assess your wound. Dr. Tran may also recommend that you follow up with a local specialist if he has concerns about your wound. Before performing minor surgery, he may make a referral for more specialized care if he finds a mole suspicious or if he has concerns about your cyst or abscess. 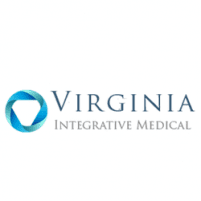 If you have a minor cut, need a mole removed, or need an abscess drained, Dr. Tran at Virginia Integrative Medical can help. Call the office or schedule an appointment online for a consultation.